Instantly add style to your door with a spectacular collection of Door Hardware. Made of solid brass in multiple finishes. Give an indelible memory to your guests. Protect the bottom of the wooden door from rain, Sand, Snow, Dirt, and Kicks. We can custom make this Brass Kick Plate in any dimension Width and Height. Also, it can be finished in any of the Finishes to match the hardware on the door. This stylish push plate can be customized to match your design. Get it in a plain finish or hammered-look finish. 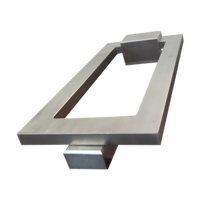 This Hexagon Bar Door Pull has an elegant design with smooth curves at the edges. The flowing curves of this piece make it a beautiful addition to any room in the home. This is a SET of TWO (2) Handles to be used in a Back to Back situation. 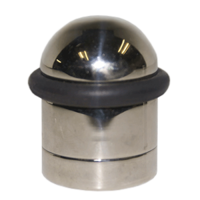 These can be used in Shower Doors with Glass, On Pass thru doors, Sliding Doors, any area where you need to install 2 Handles Back to Back. The Rod for the back to back in the hole will be 1/4-20 threaded Rod. If mounting on Glass door make the holes 3/8" Diameter. 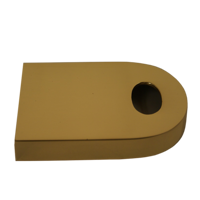 This Solid Bronze Key Door Pull features a streamlined silhouette with a subtle touch of flair. Add to drawers and doors this beautifully crafted Key Door Pull. 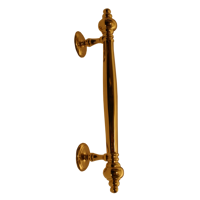 This Left / Right Curve Door Pull set is made of brass and ensures lasting beauty and function. Truly exemplifies sophistication with its curvy design. This Oriental Push Plate features beautiful etched detail on the surface of the plate and plain at the edges and comes in several finishes. This ornately designed plate will add a unique touch to most styles. 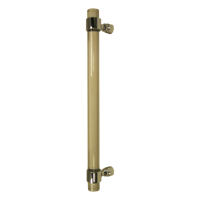 This is an all brass pull that can be used on Cabinets and Light Doors. Add character and style to your kitchen or bath with the Antique drawer pulls Door handles, Suitable for kitchen cabinet, furniture door, cupboard, desk drawer, wardrobe drawers, shoe cabinet, chest, bookcase and much more! This embellished door plate features ornate top and end crests and a cross cut plate pattern. It is sure to be a great first impression to those coming to your door. With this Ornate Twist Door Stop on your front door, you're sure to make a good first impression on your guests. Protect your doors and walls from damage with this unique door stop. Add a elegant country touch to your design and make a great first impression.The Rope Edge Push Plate features a smooth design and beautifully curved. 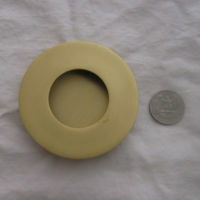 Add this Push Plate to your home's interior for a clean look. Made of high-quality solid brass. The Rope Edge Push Plate features a smooth design and sharp style. Add this Push Plate to your home's interior for a clean look. Made of high-quality solid brass for long lasting impression. Add a touch of the Italian Renaissance style to your home with the classically styled Royal Crest Push Plate. The set is a genuine reproduction from the ancient era to define your style. Accentuate any door with this ornate door pull.Make a grand first impression with this durable Royal Door Pull. Its rustic texture and beautiful craft make this set a perfect addition to your homes. 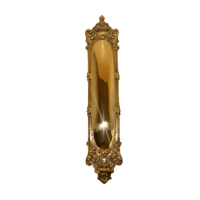 This decorative Royal door pull with the plate from the brass Renaissance collection. Features detailed solid cast brass styled in a distinctive craftsmanship, design with lifetime majestic beauty. Add a touch of Asian flair to your home with the Segal Lock Cover. With sleek design, this Lock Cover is sure to be a great focal point in your home. Give your segal lock style and complete your door make-over with this sleek lock cover. This magnificent interior Victorian Push Plate features intricately detailed plates with French design on both ends, as well as smooth, square centers with roped edges. Make your home stylish cabinet knobs, these Modern Drawer pulls can prove functional & elegant throughout the years. Strong contemporary flavor to any cabinet door style. WIDELY COMPATIBLE - Cabinet Knobs suitable for different styles of cabinets, wardrobe, wine cabinet, locker. You can match freely according to your furniture. APPLICATION: Fit for modern minimalism,pastoral style or classic style,the round knob can perfectly match your knobs decoration. Stylish brushed stainless steel G shaped sliding door handle. Comes complete with fasteners for a quick and easy installation. Smooth surface and nice design. heavy construction, good feel to the door flush handle. Stylish brushed stainless steel kube shaped sliding door handle. Comes complete with fasteners for a quick and easy installation. Smooth surface and nice design. heavy construction, good feel to the door flush handle. 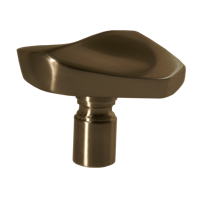 Beautifully crafted ss Kube flush pulls made from 304 stainless steel with a brushed finish will look great inside any home. Perfect size for any cabinet, drawer, or pocket door. We use a very wide Kube shape which looks absolutely amazing no matter where you use them. Stylish brushed stainless steel kube shaped sliding door handle with Black color finished. Comes complete with fasteners for a quick and easy installation. Smooth surface and nice design. heavy construction, good feel to the door flush handle. Beautifully crafted ss Kube flush pulls made from 304 stainless steel with a black finish will look great inside any home. Perfect size for any cabinet, drawer, or pocket door. We use a very wide Kube shape which looks absolutely amazing no matter where you use them. Stylish Kube shape stainless steel sliding door lock is the perfect addition to our bathroom barn door. It adds a great element of privacy and is easy to install. Made of high-quality stainless steel, corrosion-resistant rust, long life. Great for use on sliding doors, Barn doors, shower doors requiring greater security.